Exceptional string players from Iran with dark, melancholic variations on Kurdish and Persian music, on unique custom made instruments. ‘Intense, memorable and emotional’ (The Guardian). Kayhan Kalhor and Ali Bahrami Fard, two exceptional string players from Iran, both have a deep relation to traditional Kurdish and Persian music. Their acclaimed album I Will Not Stand Alone (2012) is a musical document of kamancheh master Kalhor, who lived in solitude for many years, as a public enemy of the Iranian regime. The album has a dark, melancholic and plaintive sound. Kalhor played his custom made ‘shah kaman’ (knee violin), which has a deep, cello-like tone. Fard does not play an ordinary santur (Persian cimbalom) but a bass santur. Their concert includes traditional Kurdish and Persian music as well as several new compositions. At 13, Kayhan Kalhor was already in Iran’s National Orchestra. Later on he studied European classical music. Collaborations with, among others, Yo-Yo Ma and film director Francis Ford Coppola led to his international breakthrough. This concert replaces the original concert of Toumani Diabaté and Kayhan Kalhor. 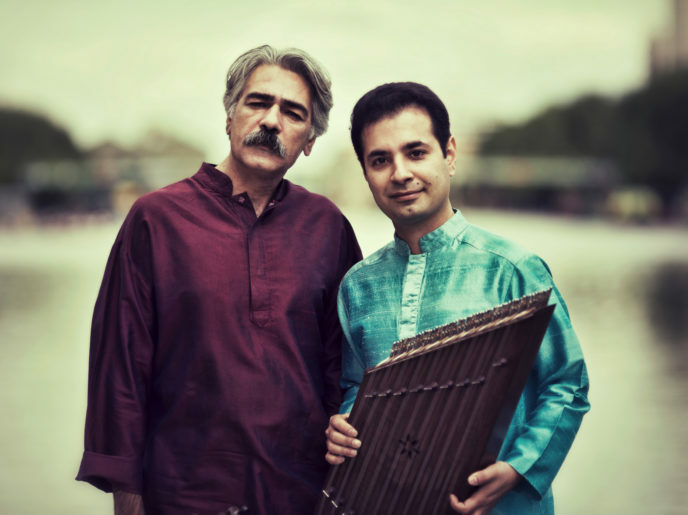 Toumani Diabaté and Kayhan Kalhor have decided to delay their duo tour for the time being. The reason is that both top musicians have the feeling of not yet being ready for the tour. Toumani Diabaté and Kayhan Kalhor greatly regret this and express their sincere apologies.